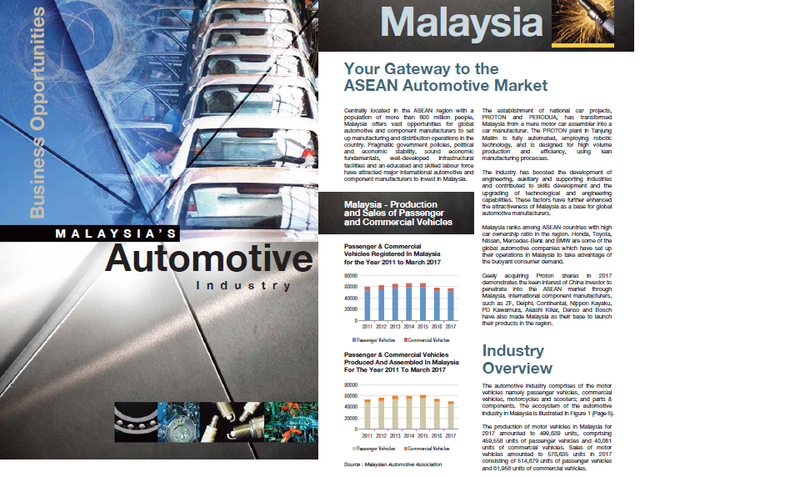 Centrally located in the ASEAN region with a population of more than 600 million people, Malaysia offers vast opportunities for global automotive and component manufacturers to set up manufacturing and distribution operations in the country. ・The National Automotive Policy (NAP) was introduced in 2006 to transform the domestic automotive industry and integrate it into the increasingly competitive regional and global industry network. ・To supply to the local original equipment market, an increasing number of component manufacturers are exporting their products, especially to ASEAN countries.